Dr Kylie Morphett completed her PhD in November 2016 and has since worked as a Research Fellow at the UQ School of Public Health. Prior to beginning her PhD, she worked in a number of non-profit health-related roles, including as a Research Officer at the Cancer Council Queensland Viertel Cancer Research Centre, and as Project Officer at Active Ageing Australia, where she developed health promotion materials aimed at older adults. Her PhD research investigated how smokers understand the neuroscience of nicotine addiction and how this influences their sense of self-efficacy and choice of cessation methods. It also explored barriers to the use of best practice smoking cessation pharmacotherapies. Dr Morphett's current research is focused on health communication related to tobacco and nicotine products, as well as emerging environmental contaminants. She has expertise in mixed methods research, including systematic reviews, qualitative data analysis and the development and analysis of cross-sectional surveys. She has a strong interest in environmental health communication, and is an investigator on a grant from the Queensland Alliance for Environmental Health (QAEHS) to investigate public risk perceptions of environmental contamination with per- and polyfluroalkyl substances (PFAS) from fire-fighting foams. 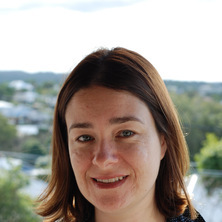 She has been awarded a UQ Early Career Researcher grant for her project “Understanding risk perceptions of emerging environmental contaminants” and is part of a national collaboration of researchers and practitioners exploring ways to address the social consequences of PFAS. Do neurobiological understandings of smoking influence quitting self-efficacy or treatment intentions? Gartner, Coral Elizabeth, Morphett, Kylie, Hall, Wayne Denis (UQCCR) and Carter, Adrian (2017). Attitudes towards clean nicotine and tobacco harm reduction in Australian adult smokers. In: Society for Research on Nicotine and Tobacco Annual Meeting, Florence, Italy, (). 8-11 March 2017. Morphett, Kylie, Hall, Wayne Denis (UQCCR), Carter, Adrian and Gartner, Coral Elizabeth (2017). Attitudes towards clean nicotine and tobacco harm reduction in Australian adult smokers. In: 15th World Congress on Public Health, Melbourne Convention Centre, Melbourne Australia, (). 3-7 April 2017. Morphett, Kylie, Carter, Adrian, Hall, Wayne Denis (UQCCR) and Gartner, Coral Elizabeth (2017). Do smokers want to quit without help? Attitudes towards assisted and unassisted quitting in Australia. In: 15th World Congress on Public Health, Melbourne Convention Centre, Melbourne, Australia, (). 3-7 April 2017. Morphett, K., Carter, A., Hall, W. and Gartner, C. (2015). Smokers' endorsement of biological explanations of addiction and their relationship to treatment choices. In: Oceania Tobacco Control Conference, Peth, WA Australia, (). 20-22 October 2015. Morphett, Kylie A., Lucke, Jayne C., Gartner, Coral E., Carter, Adrian, Meurk, Carla S. and Hall, Wayne D. (2013). Public attitudes towards the treatment of nicotine addiction. In: 2013 SRNT 19th Annual International Meeting, Boston, MA United States, (). 13-16 March 2013.